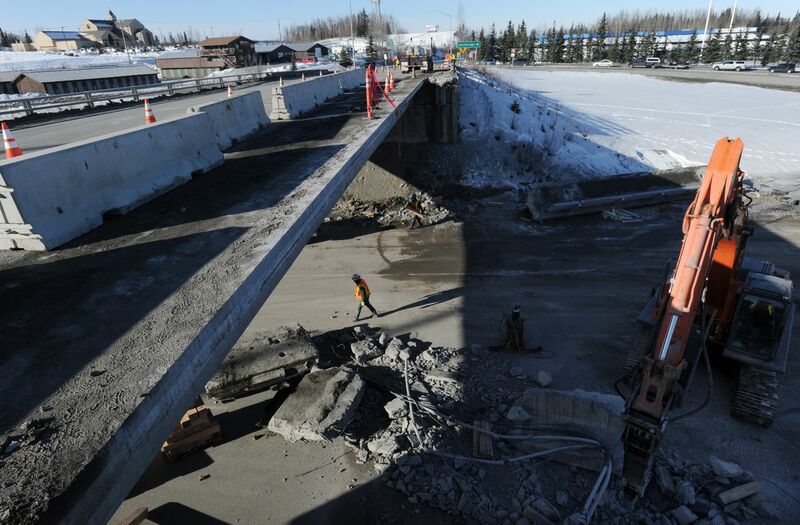 I would like to commend the hard work of the members of Alaska's Public Employees Local 71 for their public service efforts during the recent South Eagle River overpass bridge damage response and traffic re-routing. The efforts of these dedicated workers contributed greatly to the public safety, assessment of damages and expedited recovery of normal traffic during an incident which had enormous potential to be more than a simple and temporary inconvenience for the more than 60,000 vehicles that rely upon this route daily. On March 21, a truck hauling an over-tall load attempted to travel under the bridge. The load collided with the northern-most bridge girder on the inbound lanes. The impact caused severe and irreparable damage. The inbound Glenn Highway was closed. In less than two days, these workers labored tirelessly to mobilize equipment and material; cut fence posts and graded snow and ice from the frontage road surface; then delivered and installed more than 100 feet of culvert pipe, over 100 tons of gravel and RAP; mobilized side dumps, graders, a loader, roller compactor and trucks and trailers, all to regain a workable path for public passage. They were successful in completing the new ramp before Friday morning traffic to the great relief of thousands of commuters. These public servants closely monitored traffic and road conditions over the weekend and coordinated with DOT construction, APD, traffic control contractors and public relations and media liaisons to keep the public informed. That Sunday night, the removal procedure of the damaged bridge girder was completed with the oversight of DOT construction. To ensure the highway would be reopened for Monday morning traffic these workers swept the debris from the highway and completed the necessary preparations for Monday morning traffic. The temporary ramp was left in place for future use so that traffic may again be diverted to make permanent repairs to the bridge. I would like to recognize all the operators and foreman at Anchorage Highway Maintenance for their emergency response and the successful completion of the role of our Local 71 members in this event. Local 71 members showed throughout this event that when things happen, they are all ready and able to make a difference and provide the support needed to serve the public. It is a privilege to work for such honorable people. I am proud of the hard-working members of Local 71 and the dedication and service they provide to all Alaskans. Dennis Moen is the Business Manager for Public Employees Local 71. He recognizes the contributions public employees make to the citizens of Alaska and the commitment and dedication to protecting all Alaskans. Dennis Moen is the Business Manager of Public Employees Local 71, a proud member of Alaska Laborers.